If you have a coffee shop or are starting a new coffee shop, deli or restaurant and you are interested in having something truly special then maybe your own bespoke blend is the thing for you. We already provide many bespoke espresso blends to various coffee establishments all over the UK. The coffee is roasted to order, labelled with your own beautiful label and kept a secret for you. There is no charge for developing your bespoke blend! Nothing, except some of your time. We will do it for you although we need you there to taste it of course. We ask that you come and see us. After we have a good idea of what rocks your boat when it comes to coffee we then create a blend for you. After we have developed your own bespoke espresso blend we will design a label for you as well. And remember, we do all this free of charge. You can go for a light fruity blend or a bespoke coffee with a big body. This is often why our customers like the bespoke blends because we can be so flexible and it will totally be unique to you. Your blend will not be sold to anyone else. 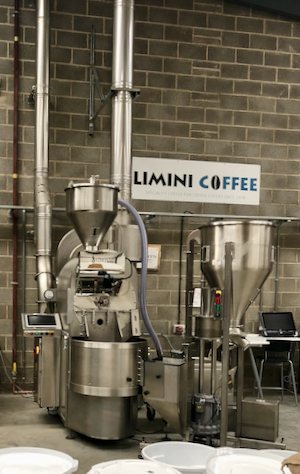 It will be totally bespoke for you and only roasted to order when you need it. Beautiful! If you are interested in this then please do get in touch.